In the third week of a strike by mechanics at Northwest Airlines, the airline has largely maintained its schedule. But while Northwest says operations have returned to normal, the airline's on-time performance appears to lag the rest of the industry. St. Paul, Minn. — As the first week of the strike ended, and it was clear Northwest had experienced some operational difficulties, executive vice president of operations Andy Roberts gave an update to the news media and the traveling public. "Performance has returned very much into the normal spectrum," Roberts said, "and we're very comfortable with where we sit right now." Since then, Northwest has published its on-time performance on its Web site. A graph shows Northwest mostly meeting or exceeding a horizontal line that sits at 70 percent. The airline says the line represents performance it would typically expect to beat on 26 days of the month. Airline industry consultant Bob Mann says 70 percent sets the bar pretty low. This time of year, he says a competitive airline should be flying at least 80 percent of its flights on time. "Those are the kinds of numbers that the industry would typically achieve, and Northwest ought to be representative of those types of numbers," Mann says. The Northwest graph shows operations did improve last week, the second week of the strike, hovering between 70 and 80 percent. The airline's numbers are corroborated by independent data from FlightStats, an Oregon company that tracks all flights by all U.S. airlines, every day. According to FlightStats, Northwest improved from 60 percent on time in the first week of the strike to 76 percent last week. But Northwest's ranking among other U.S. airlines tells a more complicated story. At 76 percent last week, Northwest was 19th out of the nation's 20 largest airlines. On-time performances by competitors included 80 percent for Delta Airlines, 86 percent for US Airways and 88 percent for both United and Southwest. According to FlightStats, Northwest cancelled almost 3 percent of flights last week. Among the top 20 airlines, only Delta and Atlantic Southeast -- two airlines heavily focused in hurricane-hit areas -- cancelled more. If Northwest can't improve their numbers to industry standard or better, that would eventually result in some frequent traveler defection. Northwest declined to comment on the FlightStats numbers. From outside the airline, it's difficult to know whether the performance is related to the strike, or the 1,900 replacement mechanics on duty. In the weeks prior to the strike, Northwest ranked in the bottom half of the pack, though not as low as it is now. The deeper question is whether this industry-lagging performance matters. Maggie Buttweiler, spokeswoman for Carlson Wagonlit Travel Associates, says travel agents are not yet inclined to book away from Northwest. "Something like price, or whether it's a non-stop flight, is probably more of a bigger consideration," Buttweiler says. "The other thing to consider is that 15 minutes or even an hour, if it is delayed, isn't most likely going to make or break someone's day." Consultant Bob Mann says he believes Northwest has its maintenance situation under control. But he also says the airline must improve its performance, especially now that Labor Day has passed and business travelers predominate. Northwest needs "to do a good job, particularly for repeat business travelers who pay higher fares, perhaps have higher expectations, and in many cases have other choices of airlines," Mann says. "So if Northwest can't improve their numbers to industry standard or better, that would eventually result in some frequent traveler defection." Even a small loss of business could be critical as Northwest tries to stave off bankruptcy. But in a financial filing last week, the airline said the strike was having no significant impact on its revenues. At the Twin Cities airport this week, traveling technology consultant Don Lipa said until his own flight is affected, he won't change his plans. Even then, Northwest is his only non-stop flight option from LaGuardia Airport. 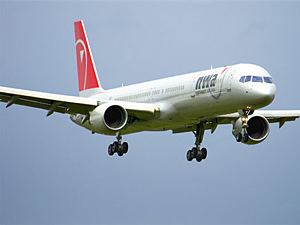 Lipa has flown Northwest five times since the start of the strike, and says most passengers don't care. "I feel bad for the guys striking, but other than that I don't think people are really paying attention to it," Lipa says. Another traveler, Steve Pfaff, does care. The Tampa business owner says he'd be eager to book with another airline -- if not for the layovers. "There are other airlines coming in (to the Twin Cities), but you have to do a bunch of stops. And we wanted a non-stop flight," Pfaff says. In the coming weeks, conflicted fliers like Pfaff will continue to be the battleground for the airline and the union. They could determine whether Northwest goes bankrupt, and whether mechanics see the airline move on without them.